The baby scale BY 88 from Beurer with concave weighing surface safely records the weight of your baby with automatic or manual hold function for recording the weight of wriggling babies. 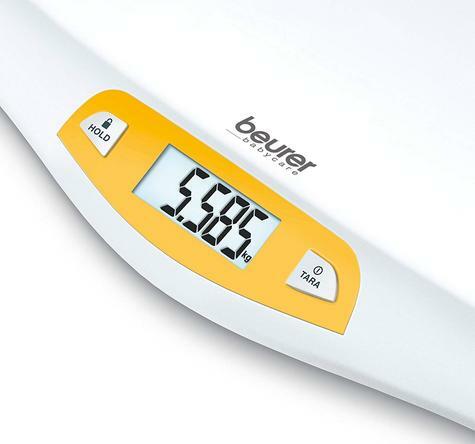 Simply read the measured value off the large LCD display. The scale has a weight capacity of 20 kg and is easy to clean. Place the baby on the weighing surface to record the weight. To ensure that the baby is lying comfortably and safely, the weighing surface is concave. 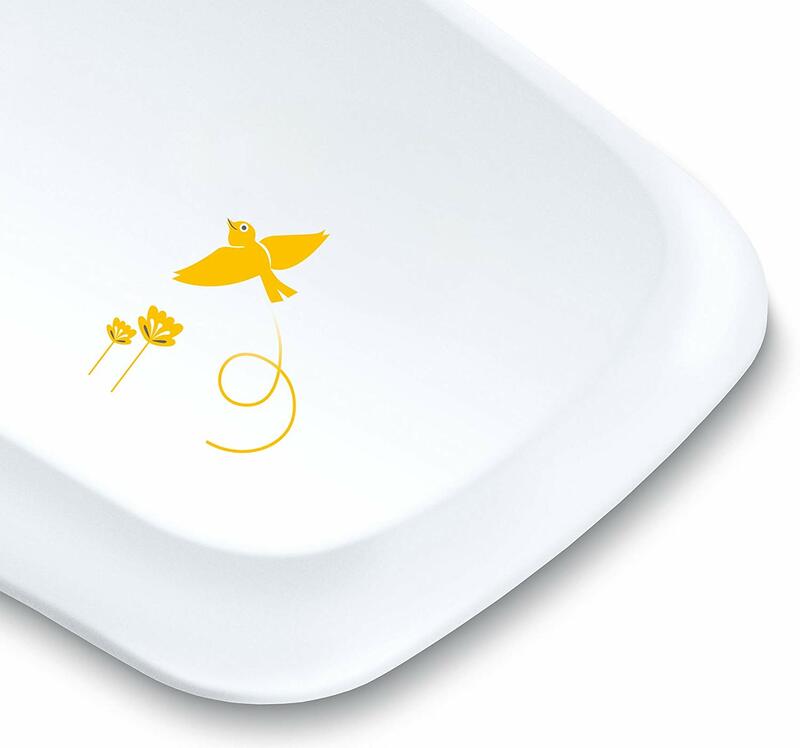 The weight is displayed in 5g increments to ensure it is precisely recorded. A minimum weight of 50g is required for a measurement to be taken. 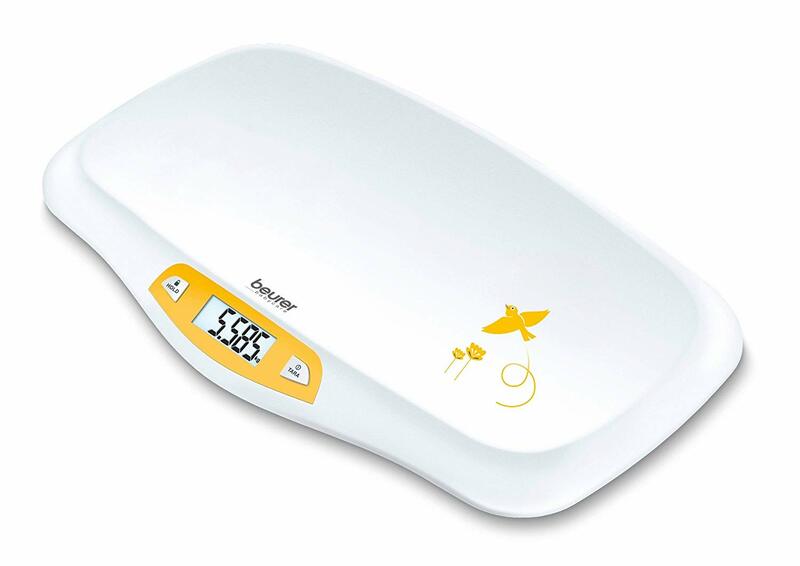 The scale has a weight capacity of 20 kg. If this weight capacity is exceeded, the overload indicator is activated. 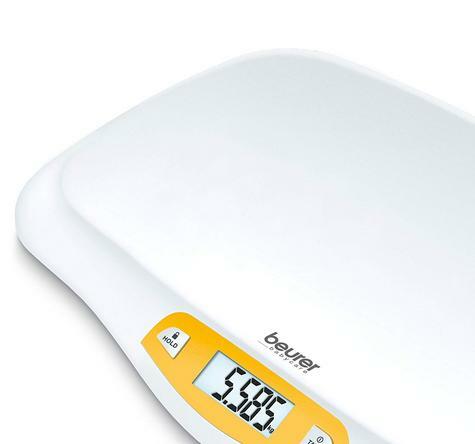 This baby scale has a "HOLD" function. The AUTO HOLD function establishes the baby's weight on the display as soon as he/she is still enough to achieve an exact measured value. 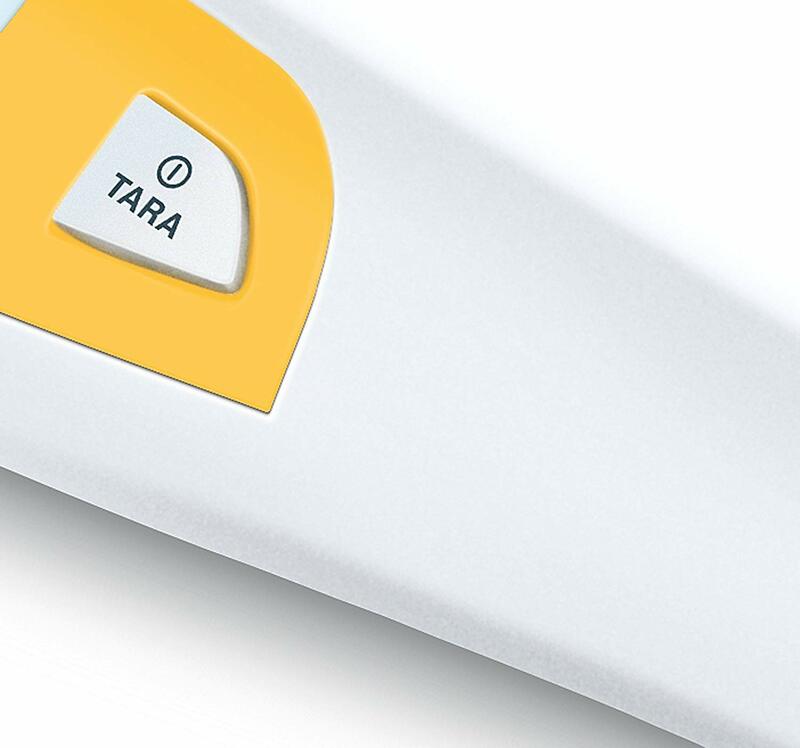 If the baby is wriggling about too vigorously, you can select the MECHANICAL HOLD function by pressing the ‘HOLD’ button. 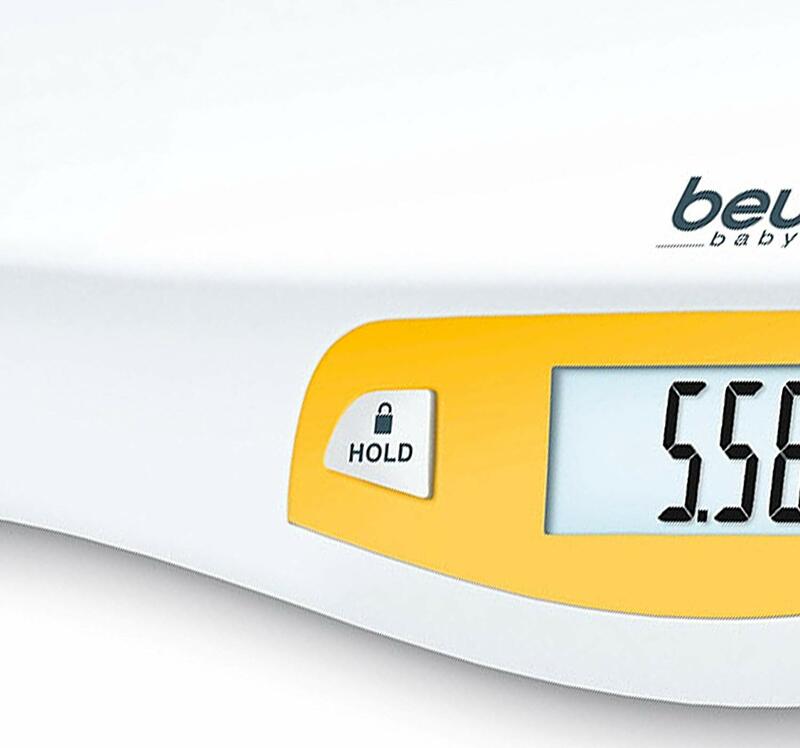 Within 3 seconds, the word ‘HOLD’ stops flashing and the weight is displayed for a further 20 seconds. The scale has a large, easy-to-read LCD display with the dimensions 75 x 30 mm and a digit height of 23 mm. Once measurement is complete, the scale switches itself off automatically within 20 seconds. 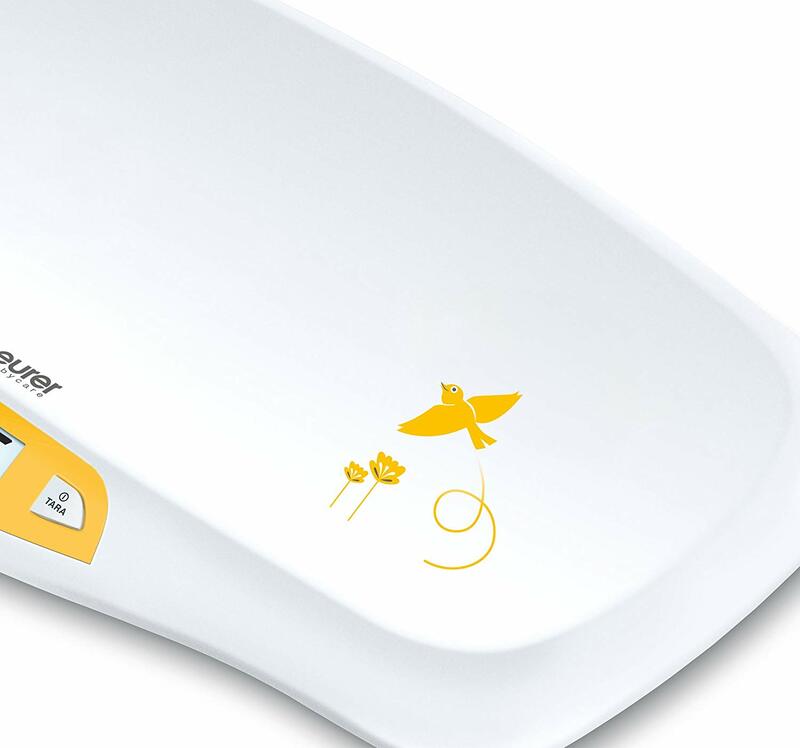 If you prefer not to place the baby directly onto the weighing surface, but instead onto a hand towel, for example, you must place the hand towel on the scale beforehand. 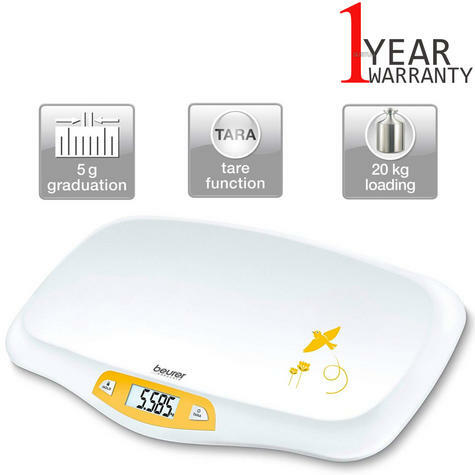 If the hand towel and other weights that you would like to remove again during weighing weigh more than 50 g, you can also use the TARE function.